This thread will be mainly help/ideas for possible 2020 items. What is the difference between the AM 6" DuraOmni wheels vs Vex 6" Omni? From how the Vex price is $30 and we’ve already broken 2, we are looking to have a more durable wheel. Would the AM be worth the extra $10? Evo Slim 2 Stage, 3 CIM https://www.andymark.com/products/evo-slim-2-stage-3-cim-14-17-1-ratio How do these shift? (are these 2 speed, automatically shifting when a certain speed is reached) Mainly looking at these Evos as Neo motors replace anything CIM. The EVO Slim is a single speed gearbox - meaning it does not shift. If you’re looking for the EVO Shifter, the link is here. I’m not sure about the wheels, but the gearboxes are actually both single speed. 2 stage is what I’m guessing is the amount of gears being the driven gear and the output gear. Shifts using a pneumatic cylinder on the go. How are your experiences with these if there are any? Would there be a need for this if neos are used? I haven’t used an EVO, but in general, shifting using pneumatic cylinders is easy and robust; my old team managed it in the rookie year with the old Super Shifter. Some teams have programmed automatic shifting, but I’ve heard of more who have programmed it and removed it because they liked the manual shift better. FRC is a sport, and performance usually trumps convenience when the two are in conflict. Using NEOs is not going to change whether you need/desire shifting gearboxes unless you’re near the edge of whether you need one or not. They are more efficient than CIMs, meaning that you can improve acceleration at low speed at the same top-speed gearing, but not nearly as much as adding a shifter. Is it worth the price then? For $325 as low price, that’s 8 neos. We’ve never tried the Vex Omni wheels. We had a set (4) of the old AndyMark Omni’s, purchased in 2007, that finally died on us at a demo last year. 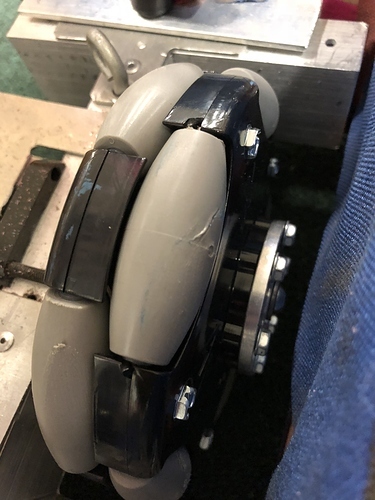 We replaced with the newer DuraOmni and were not happy with it… we managed to break one in the first hour of driving it, on a carpeted field. AndyMark replaced it, and we broke the replacement almost immediately as well, at an off-season event. Got maybe 2 hours of practice in. Before that offseason. I don’t know if it was a problem with the wheels or the bot, never could figure it out. 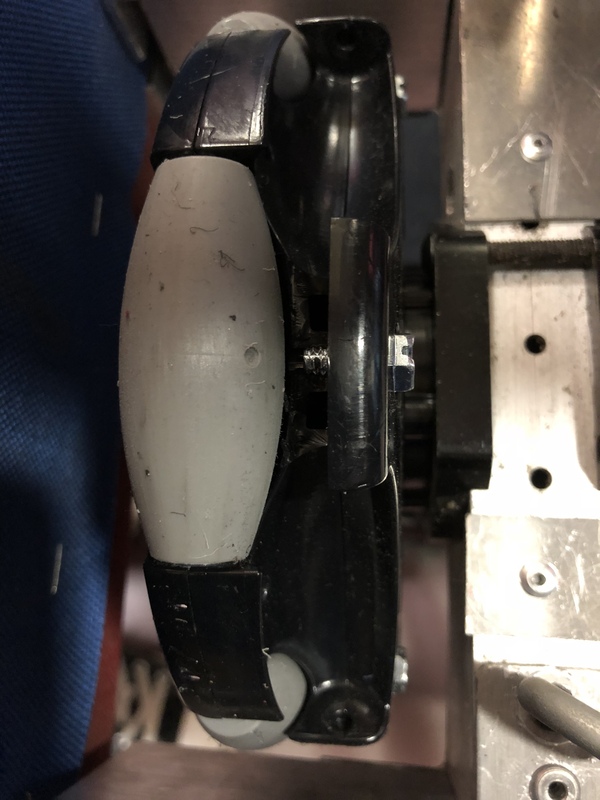 First Pic is the first broke wheel, the other two are from the second broken wheel - you’ll notice they were different failure modes. 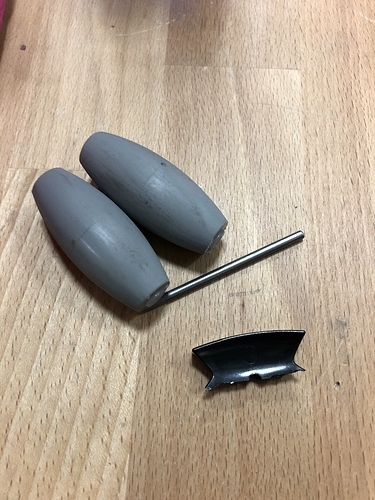 The first, a roller pulled out, breaking the plastic holding the pin into the wheel. The second, a whole section of the wheel broke off, causing 2 rollers to fall out. The second pic was exactly what had happened to our Vex Omnis. Funny thing was, they both were used on the same side of the robot, yet we were perfectly left/right balanced. Main reason we’re guessing was from the falls from lv2 to 1 then carpet. Ours had no falls at all - just driving on perfectly flat carpet, playing PowerUp. Did you at least have defense on you that could cause a bent or something that would aid in the breakage? Maybe in the second case, but definitely not in the first. We had full bumper coverage around the wheels. Oddly, this only happened on one side of the robot, the other side was just fine.